The following pages provide a showcase of IRM’s Restoration Management Planning Projects including those related to the Services listed below. IRM has completed hundreds of projects since its establishment. Please contact our office Manager Kathy Dunn at 541 929-3408 or kathy@irmforestry.com for a full list of completed projects. Scope: IRM was hired to complete a tree and shrub planting project for the Greenbelt Land Trust (GLT) at their Evergreen conservation site. The project consisted of designing a planting plan; recording and GPS mapping existing conditions; and providing a planting plan project map created with the use of GIS. IRM supervised a three person crew to plant and mark over 1500 native trees and shrubs such as Oregon white oak, valley pine, Oregon grape and serviceberry. IRM also performed similar work for the GLT’s Buena Vista and the Willamette Bluffs conservation sites along the Willamette River. Scope: IRM assisted the Nelson family in developing a Restoration Forest Management Plan on their 500 acre property. This ownership contains abundant oak and pine woodlands, with old growth remnants 400 years old when the foothill landscape around Lowell was cloaked in oak and pine savanna. 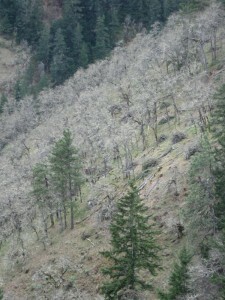 The trees are in decline due to overstocking from encroaching fir trees. Maintaining a visually appealing landscape was a major concern and will guide future forest management activities. IRM analyzed the property to provide an optimum mosaic of prairie, savanna, and woodland habitats to benefit remnant old growth trees, life cycles needs of wildlife species associated with each of these conditions, and visual concerns. Specific restorative prescriptions were developed including experimenting with using goats to reduce noxious weeds and maintain desired species composition, cover and condition and utilize an integrated weed management system of limited herbicide use, mechanical brush mowing and fire. 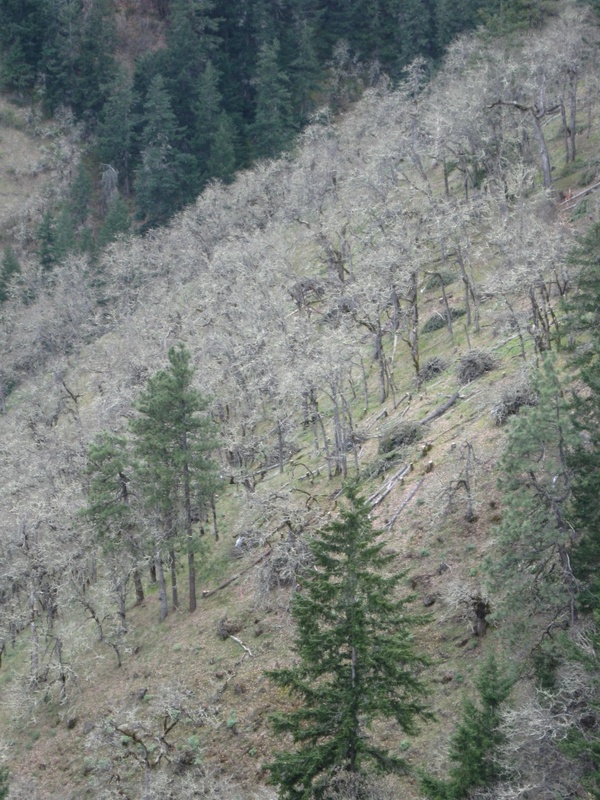 Services Provided: Columbia Gorge oak habitats are being restored throughout this steep canyon. IRM has been implementing the plan it designed in 2006 with treatments including thinning, prescribed fire and native plant seeding. Scope: IRM was hired to design a restoration management plan in the dry ponderosa pine forests on the Sinlahekin Wildlife Area, managed by the Washington State Department of Natural Resources (WDFW). The plan involved assessment, design, tree marking, a cruise and market analysis, and training of WDFW crews on marking complex thinning prescriptions. The design focused on achieving wildlife habitat objectives for focal species and was modeled after reference era conditions. These are the first WDFW lands to be FSC certified. Prescriptions were integrated with the state’s plans for a model prescribed burning program throughout the wildlife area. 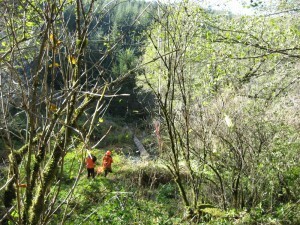 Scope: During February – May 2010 IRM developed a habitat restoration plan on private forest land. The plan designed future desired conditions through a series of vegetation treatments including thinning, burning and native plant revegetation. Scope: The Wesson property consists of 138 acres of oak savannah, maple-ash swale, and agriculture land. Forest Restoration Partnership has implemented a management plan to restore 61 acres of the property to native habitat. The restoration plan consists of wildlife surveys, herbicide application of noxious weeds, brush mastication, thinning of overstocked oak woodland, and native plant seeding. Scope: Summer 2013 IRM completed the third year of a three year monitoring project designed to determine the effectiveness of a false brome eradication contract under the MFWWC. From 2010-2012 IRM provided herbicide treatment and from 2012-2013 monitoring. This project consisted of navigating to GIS mapped monitoring sites where false brome had been either treated with herbicide or hand treated. IRM performed site reconnaissance on over 24 private properties in the MFWWC conservation area. Scope: Philomath Prairie is a part of conservation easement overseen by The Nature Conservancy, on Weyerhaeuser property. The property contains a mix of conifer and remnant oak savannah, with a great diversity of native plants. IRM assisted the TNC in the monitoring and treatment of false brome. IRM was hired to design and implement a inventory of the site to determine the coverage of false brome and subsequently the progress being made combating its spread. Scope: IRM was awarded the Marion County Soil and Water Conservation District (MCSWCD) Invasive Weed and Stream Characterization Survey and Inventory. The invasive weed survey and inventory portion of this project was completed using EDRR. The scope of this project consisted of inventorying for a list of 23 invasive species along 17 miles of stream near Mt. Angel, OR. Data collected included spatial reference (using GIS Geodatabases), species, infestation density, growth stages, photo documentation and substrate occupied. The Stream Characterization Survey and Inventory also covered the same 17 miles of stream. At predetermined locations, IRM surveyed for spatial data also using GIS Geodatabases, active channel width and depth, water flow type and photo documentation. 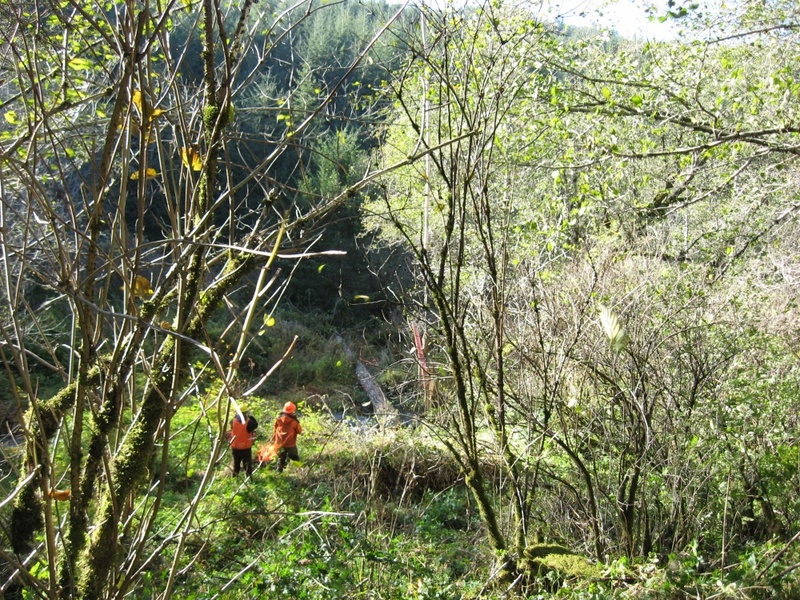 Scope: In 2010 IRM was hired by the Santiam Watershed Council to map known and potential noxious weeds along several streams (primarily Valentine and Stout Creeks) and developed right of ways, power lines, driveways and roads. All which are primary vectors known for transporting noxious weeds within the Santiam Watershed. IRM utilized Global Positioning Systems to collect the data as the first part of the early detection rapid response (EDRR) process. With this early detection data, GIS maps were produced by IRM and Marion County staff to develop and determine locations for noxious weed treatment. During the summers of 2011 & 2012, IRM restoration crew began the rapid response part of the EDRR and applied herbicide and hand pulled many of the noxious weeds. This project encompassed both public and private property throughout the southern part of the Santiam Watershed in Marion County, OR. Scope: During the summers of 2012 & 2013, IRM was hired to map and treat yellow flag iris on TNC’s newly acquired Willamette Confluence Property. The project consisted of navigating through wetlands to existing patches of iris, updating spatial and attribute information using ArcPad and treating the population. The two person team used a technique of herbicide application known as cut and wipe to ensure that no chemical was released into the environment. Scope: In an effort to control the invasive species false brome on the Calapooia River, IRM contracted with the Calapooia Watershed Council to develop and carry out a mapping and treatment project that would determine the scope of the infestation, treat populations of false brome located and collect spatial data to assist in follow up treatments. As a result, IRM located the uppermost known population of false brome on the Calapooia River and treated roughly 13.5 miles downstream. With the data collected, IRM and the CWC will assess the results and determine the best approach for future treatments. Scope: In September 2008 IRM began herbicide treatment of Japanese knotweed on the Big Island site managed by the Mackenzie River Trust duties included navigating to knotweed populations and pdating shapefile data. In subsequent years 2009-2013 IRM performed follow-up herbicide applications to control various invasive species.